Whenever the topic of financial education is brought up, most Filipinos brush it off thinking that it is only for businesspeople or for the “rich”. The truth is, we all need it. If you want to be free financially or if you want to be rich, you need to learn this! Although we don’t pay much attention to it, it does affect our daily lives. To put a child to school, to own a house, to drive a car, to pay the bills – all of these will be affected by both having and not having the knowledge about handling money wisely. People think that acquiring huge sums of money will solve their problems. It may be true for some, but without the knowledge to handle it correctly, others might find themselves in a more problematic situation. You may have heard of lotto winners who ended up being bankrupt or in a financial mess. This is what usually happens to instant millionaires who suddenly find themselves rich – in fact, too rich that they do not know what to do with the money anymore. This is exactly what happened to Dionie Reyes who won 14 million pesos in the PCSO Lotto 6/42 draw last April 22, 2008. After winning, he lived the life of a millionaire. Our culture has taught us that the sure way to become rich is to have a good education, get a high paying job, and live your dreams. Although that is a good advice, a lot of professionals, OFWs, and fixed-income earners know that it is a cycle of “go to work, receive your salary, and pay for the expenses”. The live-your-dream part is always set aside for the future, hoping that things will get better. They are the people who work for money. But there are some who learned to make their money work for them. How were they able to do that? They acquired the knowledge of Smart Investing. Did you know that you have different investment options? Investment instruments like Stocks, Mutual Funds, Real Estate, Insurance, and others can help you achieve your financial goal. You may have heard these investments before, but do you really know how they work? As we always say, take the time to learn so you can take away the fear. Understanding the different kinds of investments available will help minimize the fear of investing. Once you have acquired the knowledge, you will see that investing isn’t so scary after all. You can sleep better at night knowing that you are taking steps today that can potentially change the way you live your life in the future. really love, the OFWs who just want to return home and watch their children grow, and the thousands of skilled Filipino workers who want to live comfortably. Splendid Peso and Sense team! Blogs like this are very valuable communicating tool that will help others understand that investing in the stock market is a prime choice. Thanks for sharing! But I am having doubts if I can attend the seminar… It is quite expensive. Hopefully you can lower down the rates next time! Or maybe have a free seminar for all. Thank you. Acquiring financial knowledge is like you are going to school. You need to pay a tuition. If you find it expensive try ignorance, hindi po tayo aasenso pag di tayo naginvest sa education. 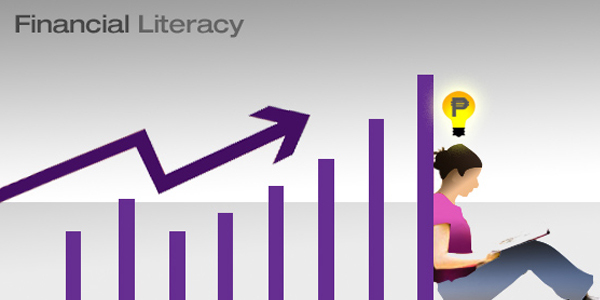 Personally, the poor and middle class need financial literacy more than the rich. After all, the rich already have a large “buffer” to make mistakes. In contrast, it’s easy for the poor and middle class to get into and drown in debt. all the peso and sense videos are very informative….and i am looking forward to attend some seminars..and to i want to take this opportunity also to invite all to attend a free Seminar of IMG topic is “PRACTICAL MONEY MANAGEMENT AND INVESTMENT STRATEGIES” venue is at Kingscourt makati,3rd floor, This Coming Saturday 9am…. Do you have seminars to be conducted here in cebu? Pls let me know thank you and more power. Salamat mga kasama sa Pesos and Sense you aren’t just educating people BUT are inspiring them as well.. I am one of them that you never failed to inspire. Now inspirations don’t lasts.. ACTION and critical thinking is required too. Quick question lang.. my wife and I thought of making ourselves safe first by getting a health insurance and then will go to investing.. what are your thoughts on what we have done? Tama yang approach ninyo. Just be sure you know how much premium you can afford for your plan. 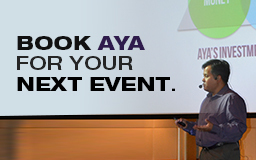 Do you have any schedules of Seminars in Manila on August? I really need this, LOL! Though I’m not yet starting to invest, Peso and Sense give me more information about investing. My supervisor recommend the videos then I found out that na may site, the articles are very helpful. I will share this sa mga kapwa ko empleyado ng factory dito sa Bataan na kuntento na lang sa trabaho nila. God Bless. please let me know kung my sched seminar kayo dito sa manila this coming may.. Very informative site! Tis site help me a lot when I am starting my financial education and even now I am still following the topics and sometimes reviewing it when I was out of the way. Thanks Sir Aya and P&S staff. I was broke last year because of my sister who decided to work abroad, I financed her. Unfortunately She was not able to stay longer due to homesick. What was being left to me is depth. I don’t know what to do until I decided and devoted my self studying financial matter how would I manage my finances. The secret is Take Time, Devote your time, and practice Frugality the secret to financial freedom. tutoringand completely defined, keep it up all the timе. This is really great! Teaching Pinoys the education that they really need is a good mission. Thanks. Nagsisimula na rin akong matuto about financial education. Now I’m starting to have my own blog about common topics of Filipino lifestyle. Well basically TagLish yong site ko kasi I want Pinoy to understand it using our own language. Keep up!